Why are mobile marketing CPI costs rising? 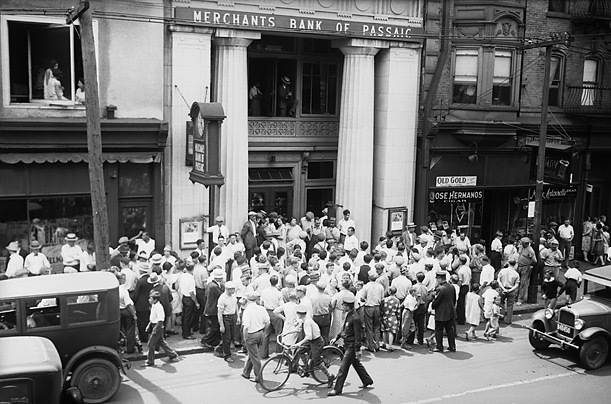 Why are mobile marketing costs rising? 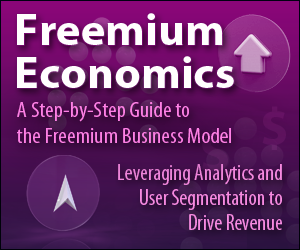 Mobile advertising network Fiksu recently reported that, in July, average user acquisition costs in its network rose 9% year-over-year to $1.97, the second-highest level since the company began tracking its “cost of a loyal user index”. Similarly, Chartboost, another mobile advertising network, revealed that average CPI prices in its network for iPhone had jumped 21%, to $2.56, from June to August. Somewhat coincidentally, last week, a series of widely circulated op-eds made the case that venture-backed mobile gaming start-ups are responsible for much of Facebook’s current mobile ad revenue, which is why the company does not reveal what percentage of mobile revenues — which represented 62% of all of its advertising revenues in Q2 2014 — are generated from mobile app install ads. The crux of the recent argument about Facebook’s mobile app install product has less to do with Facebook than it does with the sustainability of the current mobile advertising ecosystem with respect to gaming, and it begs an interesting question: why are mobile marketing costs rising? The notion that VC funded gaming start-ups are causing the mobile advertising market to overheat isn’t supported by recent mobile gaming funding trends. 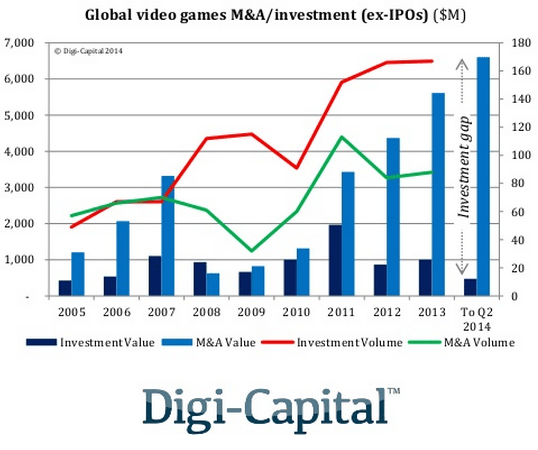 According to Digi Capital’s Q2 2014 Global Games Investment Review, VC investment into the gaming sector was actually down through Q2 2014 by 6% from the 2013 run rate. Furthermore, investment volume – the number of investments made – was down 49% in H1 2014 to the 2013 run rate. These numbers don’t corroborate the idea that VC funded gaming companies are driving mobile advertising rates up, especially compared to the vast sums of money spent by the largest mobile gaming developers. King, for example, revealed in its Q2 earnings report that it is on a more than $400MM marketing spend run rate for 2014. The more likely culprit than the reckless spending of VC-funded gaming companies for the continued (if variable and somewhat inconsistent) rise of CPI prices is the maturation of the mobile app economy, observed in two recent phenomena. 1. The great unbundling has made the Top Downloaded chart more competitive. Large platform operators have begun to release stand-alone apps which they are able to rocket into the Top Downloaded charts without support from marketing campaigns. As of this writing, Facebook has 3 apps in the Top 20 downloaded chart on iPhone (USA), Google has 2, and Apple has 1 — and only 3 of the Top 20 downloaded apps are games. A recent report found that 70% of the unique views to the top 20 mobile apps are captured by apps published by just four companies: Facebook, Apple, Google, and Yahoo!. The consequence of this crowding out is the diminished effect of advertising with respect to top chart positioning. Put another way: before Facebook messenger was split off as its own app and prompted as a download within the original Facebook app, the chart position in which it now resides was attainable. But because Facebook can leverage its massive user base into consistent, voluminous daily downloads of the Facebook messenger app, that position is effectively occupied for the short term future (until Facebook messenger downloads begin to taper). This is Top Charts install rate inflation: the number of downloads that used to achieve the position Facebook messenger currently resides in now only achieves the position below it. 2. Non-gaming companies are now competing for ad inventory. Last week advertising company Criteo revealed in its new Travel Flash Report that mobile travel bookings increased 20% year-over-year for H1 2014, with 40% of Americans booking travel reservations on a mobile device and 21% of all hotel bookings being made on a mobile device. This increase in bookings didn’t likely happen without support through media buying, but even if it did, it obviously makes the case for increased marketing spend on mobile for travel companies. 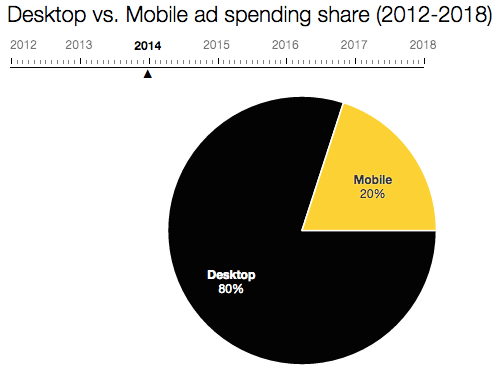 Similarly, digital spend by advertising agencies has already begun to shift to mobile: advertising insights company Magna Global expects ad industry spend on mobile to grow by 61% in 2014 to $27.1BN. As a proportion of digital spend, mobile’s share is expected to increase to 20% in 2014 versus 14% in 2013. That share is expected to reach 25% in 2015 and 35% in 2018. Facebook’s reasoning in not revealing the percentage of its mobile ad revenue generated by app install ads will likely become clear soon enough (this analysis presents a plausible explanation). If perhaps the reason is related to ad spend by mobile gaming companies, that spend is not likely being financed by venture capital: the largest developers spend lavishly and strategically on user acquisition, probably to such a degree that VC-funded launch campaigns couldn’t appreciably impact CPI prices. Or, at least, recent funding isn’t responsible. 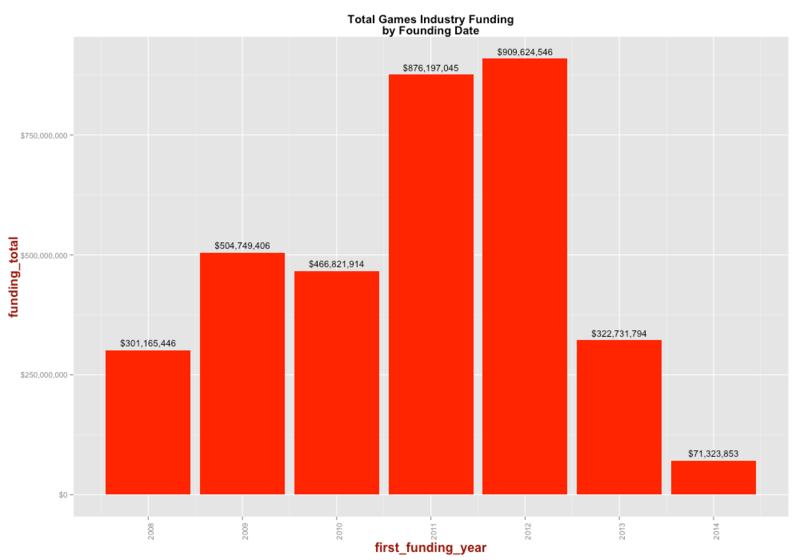 This chart, with data culled from the Crunchbase data set, shows VC funding into the gaming sector by year of first funding for the past 7 years. The trend is obvious; large amounts of funding were raised by mobile gaming companies when free-to-play was a new, investable idea in 2011-2012. Now, it seems unlikely that a mobile gaming company would be able to raise significant amounts of money without a viable marketing strategy that puts that money to good use.